Recently apprentices from across South Eastern Regional College (SERC) participated in a day-long Inter Campus Skillbuild competition. The event was one of a series of Skillbuild Northern Ireland Inter-Campus College competitions taking place throughout the province. The event is designed to test and challenge the ability of its students/apprentices working in the construction trades. Mark Hawthorne took top place in carpentry. Competitors representing Lisburn, Downpatrick and Newtownards Campuses were judged by Skillbuild Northern Ireland judges in disciplines including bricklaying, cabinet making, carpentry, electrical, industrial pipework, joinery, plastering and refrigeration and air conditioning. 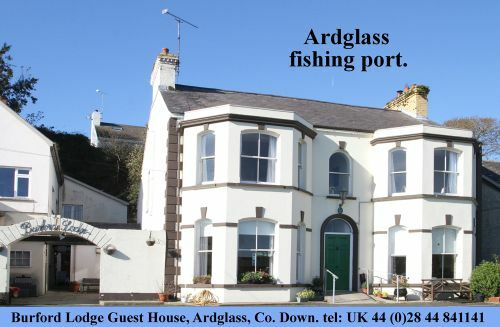 The apprentices were set a test project which took a day to complete. At the end of the day their projects were judged and scored by Skillbuild Area Managers. The winners, who qualify from the Inter Campus Competitions, will represent the College and compete at the annual Skillbuild NI Regional finals due to be held in March 2013 in Newtownabbey. When the results were announced Brickwork apprentice Thomas Curran was celebrating after finishing first in his category. Also celebrating were runners-up Michael Keenan and Jordan Moore who finished second and third respectively. Meanwhile in the plastering category Chris Bailie was celebrating finishing first place, followed in close second by Chris Marshall and third place Matthew Nicholl. 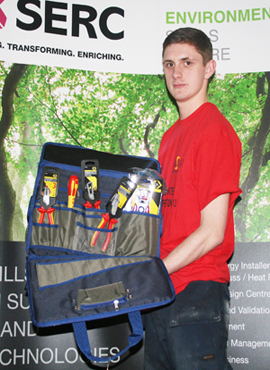 Apprentice electrician Jack Rice won first place in his trade. Also celebrating after winning first place in his discipline was apprentice Electrician Jack Rice with Brian McIlmail celebrating third place. In the Carpentry category Mark Hawthorne took top spot with classmate Jason McGeown taking first place in the Joinery discipline. 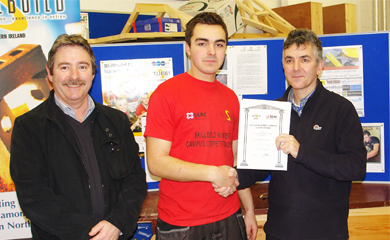 Mark has been successful throughout the competition winning a range of medals in the recent SkillBuild UK finals. The apprentices are hopeful that their experiences from the inter-campus competition can act as platform for success at the regional finals. John Nixon Head of School Construction and Engineering for SERC commented on how Skillbuild benefits the students: “Skillbuild provides a unique stage for trainees to showcase their skills and expertise and motivates them to reach the highest standards in trade careers. It was a very successful competition with around seventy of our students participating. I was impressed with the high standard of workmanship displayed and this was commented on by the various judges. SERC provides a range of full and part-time courses designed to give students ‘the edge’ through industry projects and a range of work placements to give them the skills needed to succeed in their chosen career. To find out how SERC can help you ‘get the edge’ call 0845 600 7555, visit www.serc.ac.uk or find us on Facebook, search: South Eastern Regional College.